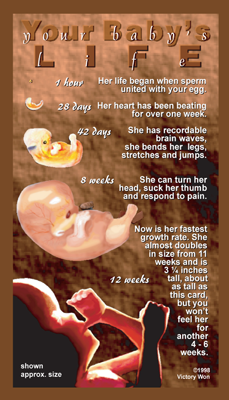 A personalized history of fetal development. 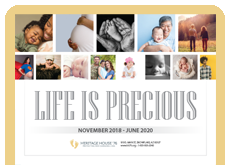 It helps connect the individual to the pro-life issue. Great for students and co-workers of all ages. 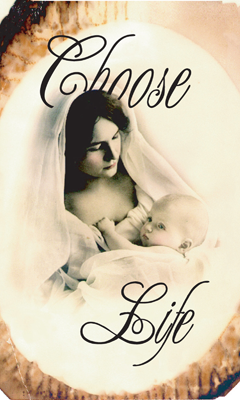 This rich, appealing card factually lists abortion risks on the front. 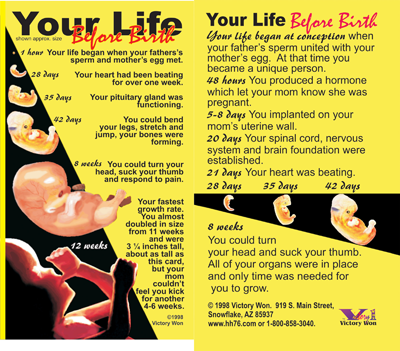 On the back is a full color chronology of fetal development. Perfect for CPCs, health fairs, exhibits and talks. 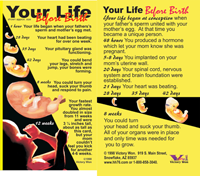 A beautiful Victorian image with information on the back of the card about abortion risks and fetal development. Great for CPCs, banquets, presentations and life talks.